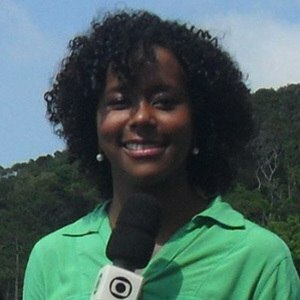 Brazilian journalist and television presenter who is known for her work as a weather forecaster. She is recognized for appearing on Jornal da Cultura, Jornal Hoje, and Jornal Nacional. She is also known for her roles on SPTV, Bom Dia Brasil, along with other programs on the Rede Globo network. She earned her degree from the Faculdade Casper Libero and began her career as a reporter with the Fundacao Padre Anchieta. She then started presenting the Jornal da Cultura in 2005. She joined the Rede Globo network in 2007. She is known for having won the Best Girl in Weather Forecast at the Trofeu Observatorio da Televisao in both 2015 and 2016. She was born and raised in Sao Paulo, Brazil and shared a photo with her mother through Instagram in January of 2018. She worked alongside anchor William Bonner on the Jornal Nacional program.